For this cheap eats challenge, I expanded on a cheap and easy meal I make on the regular: stove-top tortilla pizza. To push my cooking limitations, I chose to create my own whole wheat tortillas from scratch. Meanwhile, the sauce used was my favorite go-to for mixed media. Canned San Marzanos are somewhat expensive comparatively, at $4.69 per 28 oz. can, but they are worth the brightness of flavor. It’s possible to cut costs here. Tortillas require an simple mix of flour, lard and a touch of salt. Coconut oil works as an easy lard substitution. Water is added to the mixer to pull the dough together. Two kitchen tools are helpful in tortilla making: a tortilla press and a mixer. Either can be replaced with a bit of extra manual labor but it comes heavily recommended by many sources that these machines are preferred for quality and consistency. As the dough is being divided and pressed, it is best to store the unused pieces under a damp paper towel to keep from drying out. While the tortillas can be rolled out with a pin, a press is capable of achieving an extremely thin crust for cooking. A metal crepe plan is best to not only crisp up the uncooked tortillas, but also to fulfill their destiny as a quickie pizza. After cooking one side for one or two minutes without oil, the freshly flipped side was topped immediately with sauce and cheese until the bottom was crisped up. The cheese was melted in a pre-heated toaster oven and chopped up for immediate enjoyment. Breaking down the cost of all the ingredients, including spice, oils and vinegar used in small quantities, the general cost of a basic tortilla pizza is $0.77. 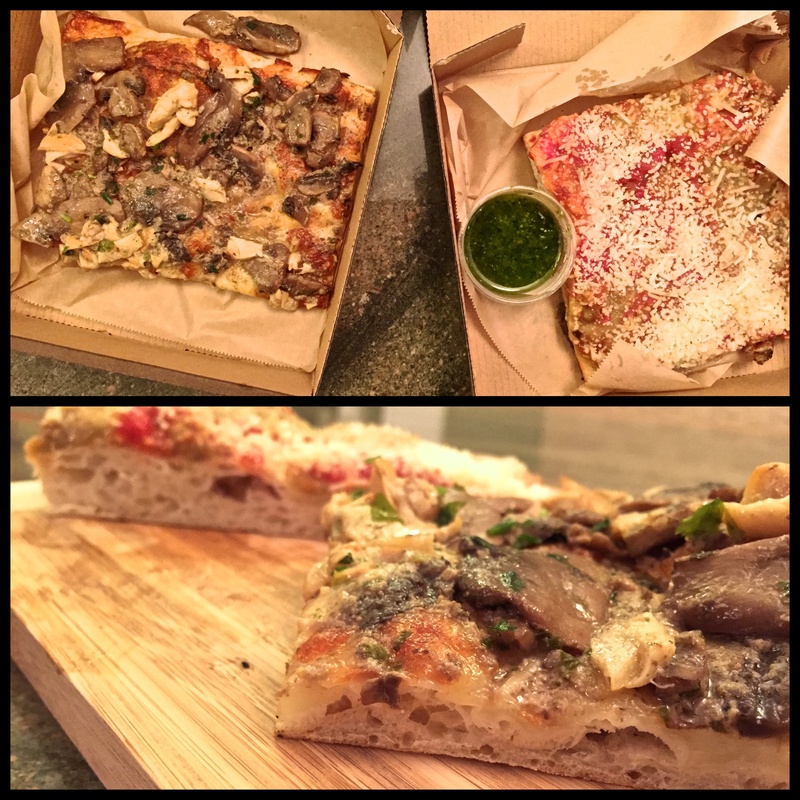 For the hand-held sets, I calculated about half the price for a super budget pizza fix. Wine is its own category of budget as its quite a two-fold luxury item. Not only is alcohol arguably superfluous in the age of untainted water supplies, but (good) wine in particular requires some costly attention and resources, all of which can drive prices into ridiculous realms when you consider we’re talking about the exact same amount of liquid per bottle. Sicilian wines draw my attention more and more with offerings of cheap and indigenous varietals that can thrill the palate with fruit and complexity. Nero d’Avola is not a favorite style, as notes of rubber can overwhelm the flavor profile, but it is admittedly cheap overall. 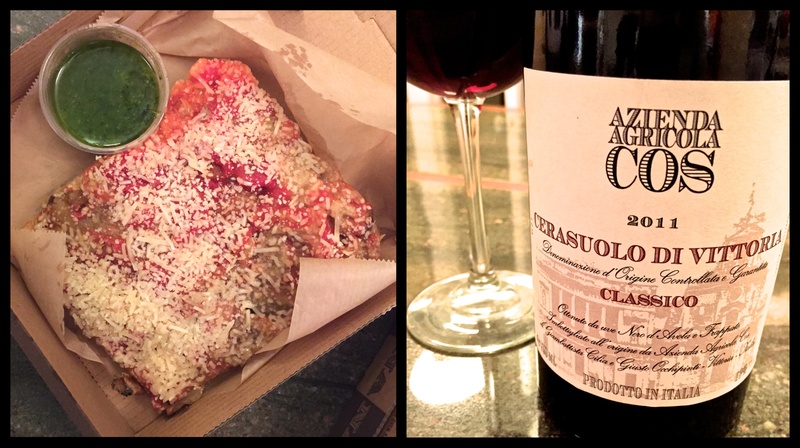 For $16 a bottle, an Italian red is worth stocking for any unforeseen pizza party. 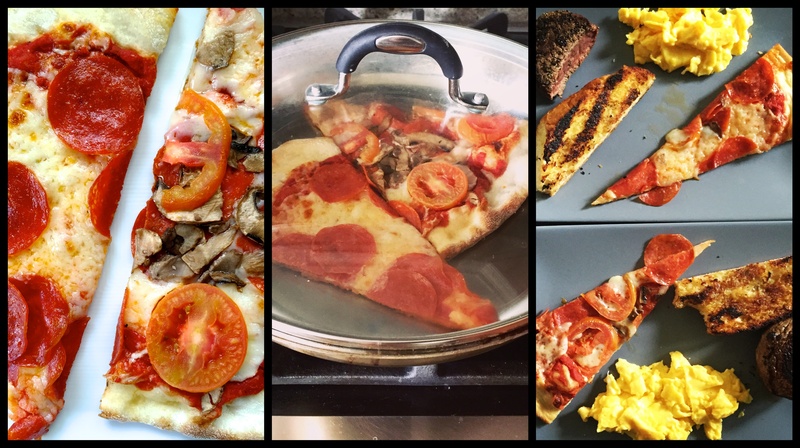 Exploring the miniature world of pizza-inspired finger food, as decreed by this week’s challenge, I decided to experiment with three different styles to see how far whimsy could take me. To begin, I chose to bring to life a mediocre pizza cone I once experienced at a night market but this time it would be tastier and in bite-size form. Ideally this project would begin with an army of small cone-shaped, oven-safe items such as a basic frosting tip, at the ready. If this is not the case, the next best option is to create a set of Cones of Dunshire out of foil. Using room-temperature pizza dough, I rolled out thin, roughly-shaped triangles that were wrapped once around each cone. The cones were baked pointy side up until browning and gently release from mold when cool enough to do so. To prep for the next stage of cooking, foil was wrapped tightly around a baking dish and gently poke tiny, well-spaced holes for the cones to sit upright in. These cones were filled with a modest layering of fresh mozzarella, marinara sauce, finely chopped pepperoni, more sauce, and shredded mozzarella to top. These were placed back in the oven for another 5 minutes and served in the very same delicate DIY foil holder as before. While the presentation is lacking a bit of panache, these small treats have potential for greatness in the future, especially if I combine the piping mousse used in the following finger food. Gougeres are small pastries that create little air pockets when they puff up in the oven, providing space for a creamy treat to be piped in. While these might be considered the most successful of my experiements, I encountered many difficulties along the way. Using a very basic recipe provided by the Addison kitchen, I had a batch ready to go within minutes. Boiling the butter and milk together, I added the flour all at once and beat the resulting goop for three minutes. Off heat, I whipped in the eggs one at a time and then added parmesan and season with salt to taste. This was then added to a pastry bag, though a sturdy ziplock bag would make a fine enough substitution. Piping out small swirly poops was my first mistake. The shape created at the base of each pastry did not allow half the batch to rise with the appropriate amount of spacing within. It is better to start with a fat blob as the base, swirling towards the top to avoid a Hershey kiss shape. Each batch took around 20-25 minutes in the oven before crispy and light. Midway through the first batch, I noticed the color of the gourgeres remained quite pale so I pulled out the lot and painted on a sheen of whipped egg whites for some last minute coloration in the oven. The trick seemed to work so I applied the egg whites to the second batch as well. While waiting for the pastries to finish baking, I pulled together some pizzaesque ingredients laying around in the kitchen for a haphazard emulsion. The final makeup of this concoction involved a blend of tomato chunks, mozzarella, sour cream, cottage cheese, half and half, crushed red pepper, salt, pepper and crispy pepperoni. This was added to its own pastry bag and piped into the cracks found along each puff pastry to fill the gap within. At first I didn’t mind the chunky texture the pepperoni provided until the pastry bag tip kept getting clogged and splattering comically all over the kitchen from force and frustration. Had I made a bigger batch, the end texture may have been smoother as the pepperoni would have a chance to become completely emulsified. In addition, I would avoid using firmer cheeses so that the mousse remains creamy when reheated. Another couple rounds of practice should transform this puppy into a winner in a crowd. Despite my certainty that this would be the least exciting aspect of my finger food experiments, I devoted a good half hour into this project to use up some leftover dough and ingredients. The majority of this half hour was spent meticulously cutting regularly-sized pepperoni into miniature pepperoni pieces, all for the cutesy look of it. From here, the dough was separated into equally-sized balls that, when pressed into shape, resulted in 3-inch rounds. 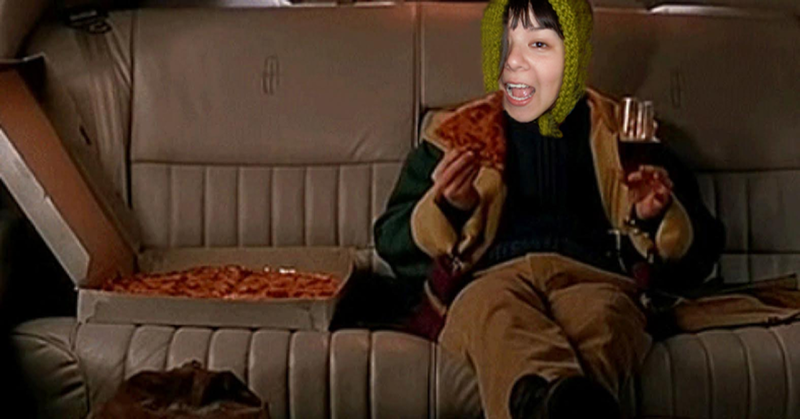 And from here I built the pizza as I would any other. The pepperoni scraps from earlier did not go to waste as they were chopped up and placed over the sauce and under the cheese when designing the final toppings. Edible? Yes. Cute? Sure. Worth it? Eh. While the flavors of these three treats were very similar overall, I would still need a wine broad enough to span the nuances of spices and texture. 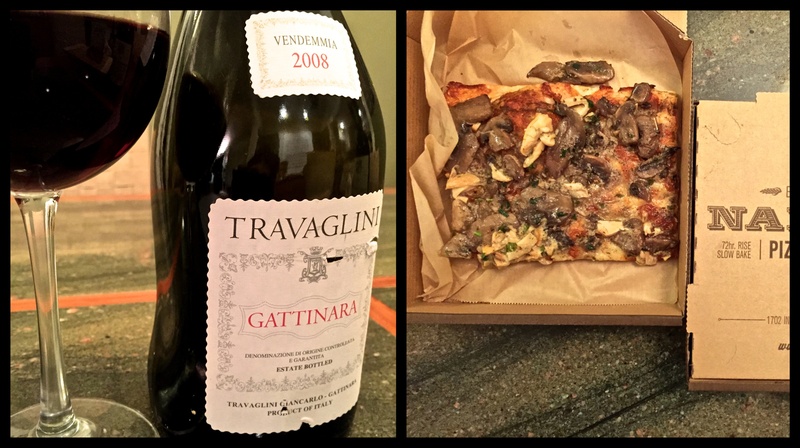 When it comes to classic Italian flavors of tomato and cheese and cured meats, I tend to seek out Italian wine. Vecchie Terre di Montefili – “Bruno di Rocca,” Toscana, Italy 2000 is plush, rich and easy to become friends with. While a decade and a half of aging has definitely pushed this wine into its developing stages, there is still a dense juiciness to the black cherry and raspberry fruit that can manage to the pastry-dense food. The wine’s age offers the additional benefit of extra complexity by emphasizing more savory components like black tea and chopped mushrooms. This wine is just as fun to drink with the food as it is to drink during its preparation. The recent boom of trendy bars and restaurants in San Diego’s Little Italy has been all the chatter about town. From the killer wine list at Juniper & Ivy to the shiny upstairs patio of Kettner Exchange, there is plenty to talk about and more foodie fodder still to come. 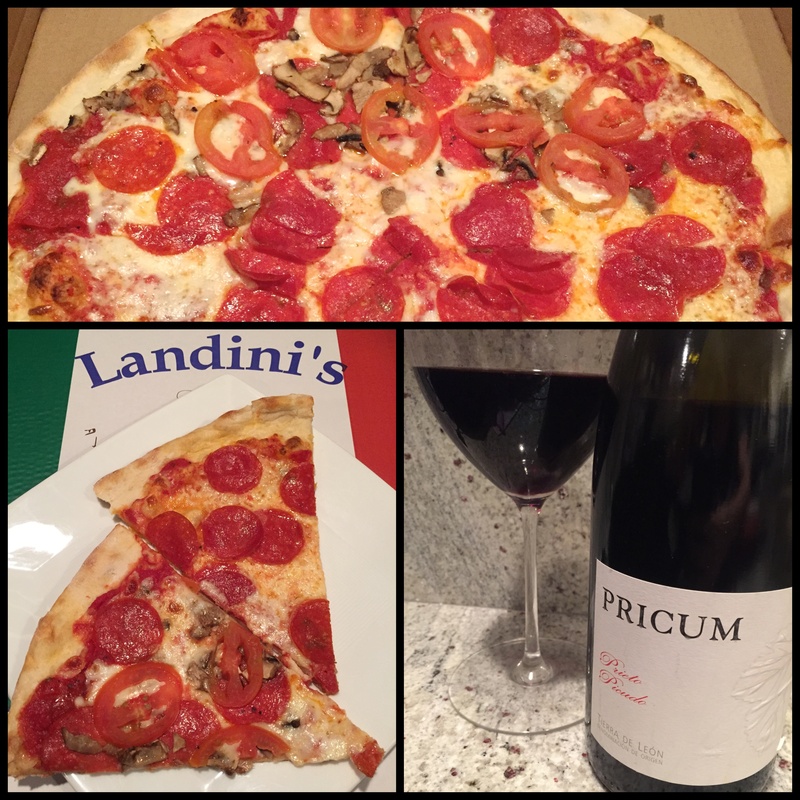 While old neighborhood standards may harrumph about with speculation as to what the competition means for business, the influx of roaming drunk hoards seems well-suited for a pizza joint to thrive in and Landini’s Pizzeria is situated within easy stumbling distance of it all. San Diego kitchens shut down disappointingly early for a city that parties nightly until two. 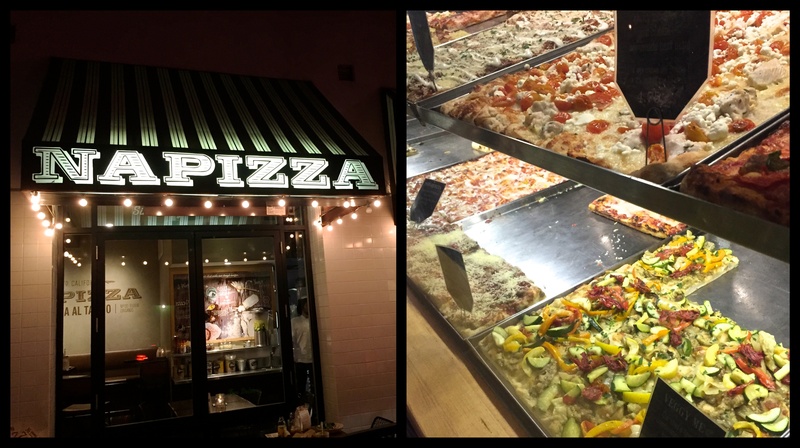 As bars unleash batches of wooing hot messes and their socially oblivious companions into the streets, Landini’s becomes a magnet for inebriated pizza zombies drawn to the ever-appreciated business model of late-night slices. Initially enticed by the menu’s fancy sounding toppings of brussel sprouts and butternut squash, I opt for a less cerebral treat after standing in line between drunk toddlers in celebratory feather boas indicating some holiday nigh. 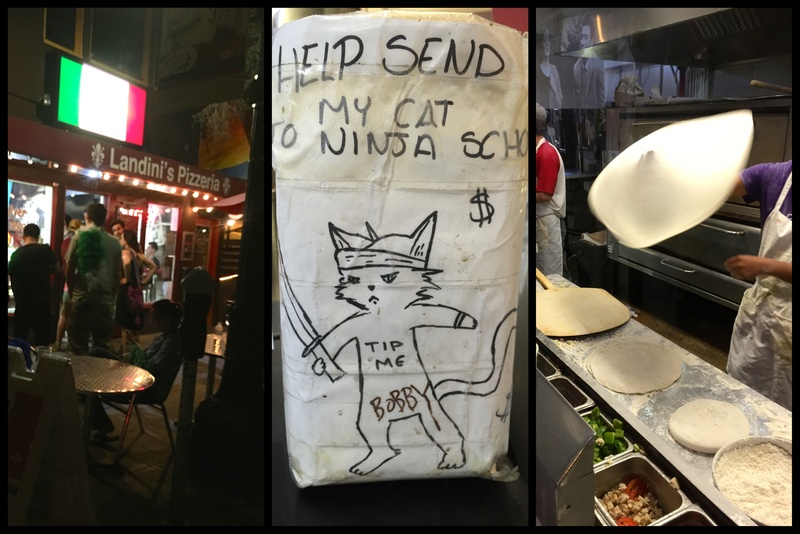 Instead, the very chill people of Landini’s recommend a standard issue pepperoni pie, to which I add tomato and mushroom to half and contribute what I can to send some cat to ninja school. 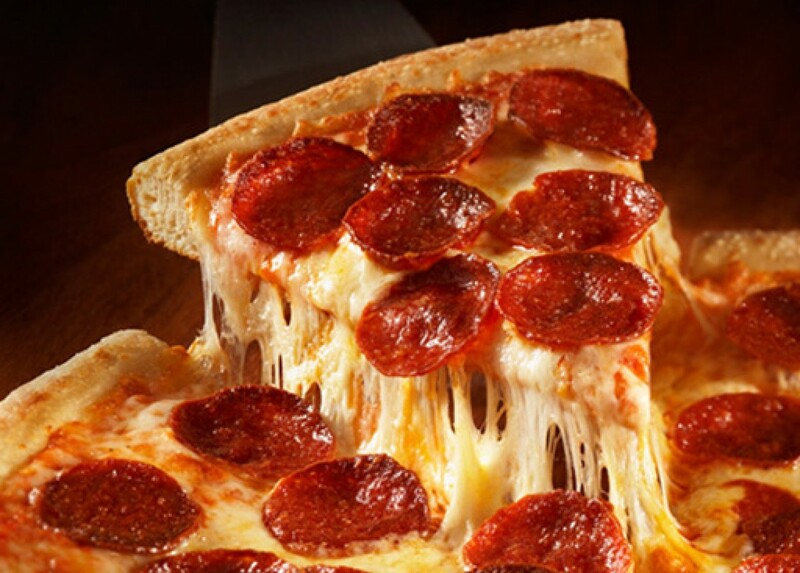 The toppings don’t seem to matter beyond pepperoni as the base components make up the whole of the pizza’s personality. A soft core that runs from crust to cheese is enlivened with collected pockets of juicy tomato sauce and a chewy texture. 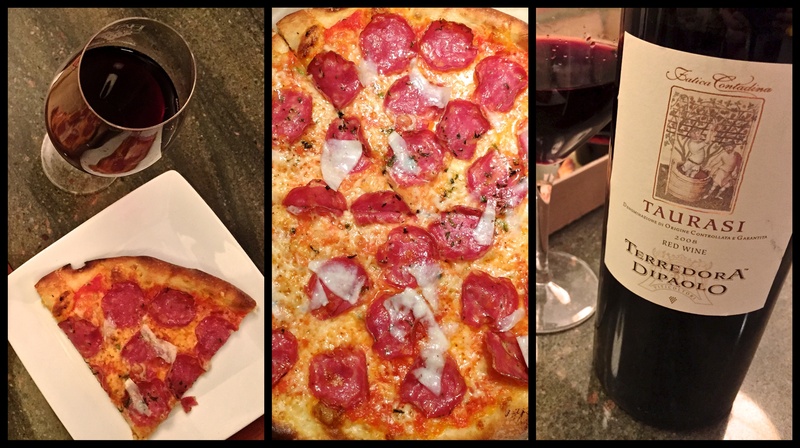 While the tomato and mushroom are decorative at best, contributing nothing much beyond texture to the pie, the pepperoni is spiced perfectly, calling for a bigger style of red wine to be its match. Bodega Margon Pricum (Tierra de León, 2007) is a Spanish red made up solely from the Prieto Picudo red grape of the region. Upon opening, the wine is immediately taut, tannins strained and fruit ungiving, and in need of time to breathe. 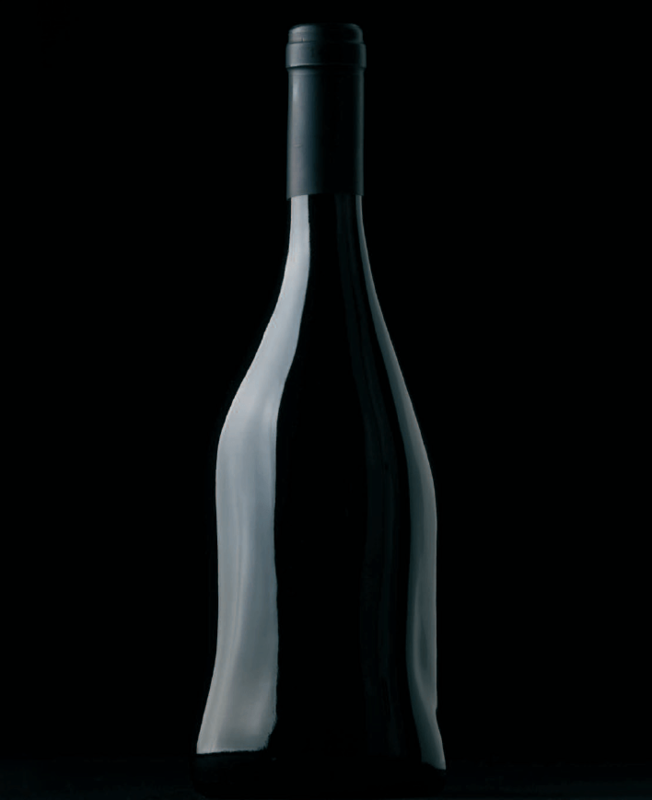 Decanting is an option, offering more surface area for oxygen to interact with the wine and hasten its evolution, while swirling in glass offers smaller format aeration for those seeking to enjoy a glass or two. As the wine opens up, aromas of black tea, pepper, and dusty earth are at first most notable. Dark fruit flavors emerge in the form of black cherry and blackberries that provide a counterbalance to the meaty landscape of the pizza and inherent spice never overwhelms the wine. With plumply ripe fruit aromas and moderately higher alcohol, there is just enough acidity to match the tomato sauce while the scrubby tannins play nicely off each cheesy bite. 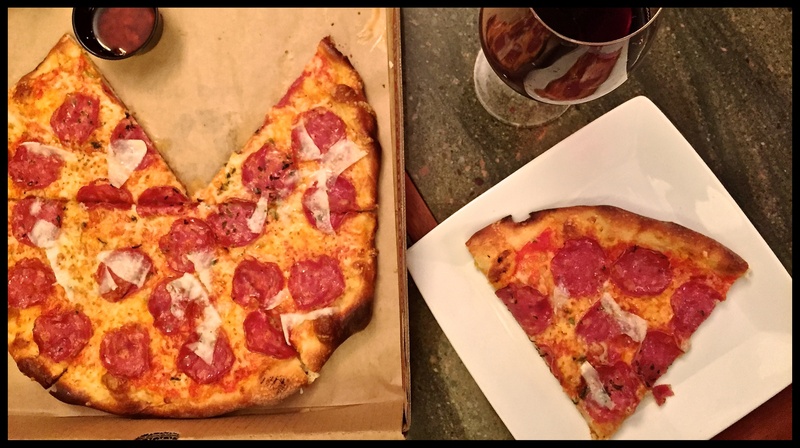 Leftovers are an undeniable truth of pizza eating for one. To step up my pizza game, I ditched the microwave and learned a stovetop method for reheating pizza that revives any lifeless crust on the fly. All it takes is a pan prepped to low-medium heat with slices placed in dry for a crisp bottom while covering with a lid to heat the toppings evenly. Serve with eggs and call it breakfast.